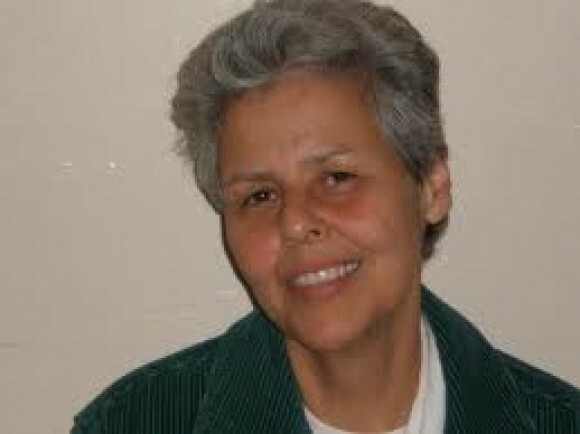 Ilena Silverman, one of the story editors at The New York Times Magazine, is defending publication of a story urging New York Governor Andrew Cuomo to release Weather Underground terrorist Judith Clark from state prison. The article portrayed Clark, who was involved in the murders of three law enforcement officers, as a remorseful mother anxious to spend time with her daughter. She is serving 75 years in prison for her crimes and is likely to spend the rest of her life in prison unless political authorities intervene to release her. Clark was a member of the Weather Underground and its spin-off, the May 19th Communist Organization, and worked with members of the cop-killing Black Liberation Army. There is no evidence in the article or anywhere else that Clark, now advertised as a writer and a poet and educated behind bars at taxpayer expense, rejects communism. Critics say her alleged rehabilitation behind bars is a scam and that, if she is released by Cuomo, it is certain that she will become a cause célèbre for the international anti-American left. Looks like The New York Times is at it again, advocating release of an unrepentant terrorist onto society. Just a year ago, Emma Fitzsimmons wrote a similar fluff piece about unrepentant, communist, Puerto Rican terrorist group FALN (Armed Forces for National Liberation) leader Oscar Lopez in advocating his parole. Like Judith Clark and her Weathermen, Black Panther and May 19th Communist Organization Comrades, Lopez and the FALN were part of a 1960s and 70s communist-fueled amalgam that violently sought the overthrow of the United States. My 33-year-old father, Frank Connor, was murdered by these terrorists as he peacefully ate lunch with clients at Fraunces Tavern in 1975. Like Clark and the Weathermen, Lopez and the FALN represented themselves at trial, hurled insults at the judge, and refused to recognize the US courts to try them. A small group of those wounded by the FALN, law enforcement and family members of those murdered struck back last January by trekking to Terre Haute, Indiana, federal prison, where we confronted the unrepentant Lopez face-to-face at his parole hearing and ensured the denial of his parole. Now the paper of record is at it again. Judith Clark did abandon her child but that was her own diabolical choice. Her revolutionary comrades of the FALN acted as judge, jury and executioner, in forcing my father’s abandonment of his mother, wife and two sons—my brother (11) and me (9)—when they murdered him. Like Lopez, Clark sheds no tears for the families she left abandoned and we shed no tears for her. Let her finish her term. She got off easy compared to Bill Moroney, Ed O’Grady, Chipper Jones, Peter Paige, Frank Connor, Alex Berger, Mike Schlaacter and their families. Look inward New York Times and ask yourselves why you advocate for terrorists while you dismiss their victims and families. When you figure it out, please publish the story. Now that’s a story we’d all like to read. In a follow-up series of questions and answers about his piece, former Village Voice writer and now professor of “investigative journalism” at the City University of New York, Tom Robbins, is asked about other terrorists involved in the 1981 Brinks robbery with Clark that killed the three law enforcement officers. He says that Marilyn Buck “won parole in 2010 after serving 26 years of a 50-year sentence for the Brinks robbery and related crimes. She died of cancer shortly after her release.” He makes it seem as if Buck was given an early release and that it is therefore unfair for Clark to spend the rest of her life in prison. In fact, Buck’s release was another scam, carried out by officials of the Obama/Holder Justice Department who falsely claimed that she had repented for her terrorist ways. Robbins seems to be unfamiliar with the basic facts of the case, as detailed in documents released to this columnist under the Freedom of Information Act. For example, attorney Jill Soffiyah Elijah wrote on behalf of Buck’s release that “a warm nurturing living arrangement is available to Ms. Buck in my home located in Brooklyn. . . . I and my family look forward to her joining our home.” Elijah’s letterhead was Harvard Law School, where Elijah runs the Criminal Justice Institute. “Also on the letterhead in the Elijah letter to the Justice Department is Charles Ogletree, President Obama’s dear friend and mentor,” notes Adams. “Having Ogletree’s name associated with such a request was like mailing Buck the keys to her jail cell. Ogletree’s daughter Rashida was recently hired into Holder’s Justice Department as a lawyer.” Indeed, Rashida Ogletree is today a trial attorney in the “special litigation section” of the Civil Rights Division of the Justice Department. Elijah represented Marilyn Buck as well as Joanne Chesimard, another cop-killer who escaped from prison and fled to Cuba with the help of Judith Clark and other members of the Weather Underground. After her release from prison, followed shortly by her death from cancer, Buck was eulogized at a New York City memorial service by former members of the Weather Underground and the FALN as a great freedom fighter.